The best RPGs and Board Games are the ones that fully immerse you in the game world. You're not a bunch of people sitting around a table in someone's living room/garage/basement/LGS. You're actually a group of interstellar soldiers, or in a medieval village, or reliving WWII. 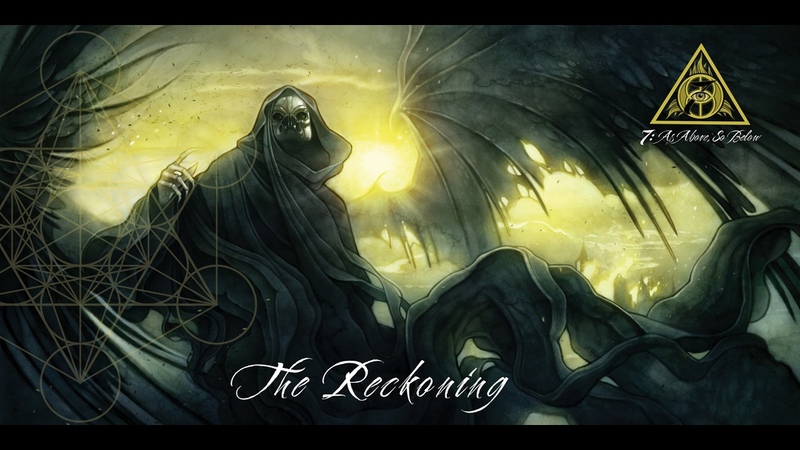 The Reckoning, a new RPG Board Game that's currently up on Kickstarter, looks to immerse you in a deep, narrative universe where players are Initiates looking to travel through the Matrix (not the one from the movies). The game seats 1-5 players. They take on the role of Initiates who are looking to unlock the strength within themselves. They do this by passing the 7 Initiations and traverse through the Matrix. However, within they'll find the Dark Legion. You'll have to summon Guardians and Peacekeepers in order to combat against them. As you travel, you'll enter various different locations in time and space, such as Germany after WWII, or deep space on a huge space station, or even astral planes. Draw cards from the Divine Decks, collect resources (in the form of tokens), and use various devices for divination in order to progress through the game. The Kickstarter campaign is running now and is set to go for another 28 days.